MR. COUGHLAN: This portion of the Tribunal sittings will be concerned to a significant degree with evidence from Central Bank witnesses. The Tribunal has already heard evidence from the Central Bank witnesses in a number of earlier sittings. That evidence concerned exchange control issues. It was relevant from two points of view: Firstly, the evidence was relevant in connection with the manner in which transactions involving Mr. Charles Haughey on the one hand, and Mr. Michael Lowry on the other, were carried through in what would appear to have been a way which infringed exchange control regulations. The evidence was relevant not only in connection with the apparently irregular manner in which the transactions were carried out, but in the case of Mr. Charles Haughey, in connection in the manner in which the late Mr. Desmond Traynor conducted certain transactions relating to Mr. Haughey. In the opening statement at the commencement of the Tribunal’s last sittings, it was indicated that the Tribunal proposed to lay out, so far as it felt it was necessary and practicable, the operation of the accounts which have come to be known as the Ansbacher accounts; the conduct by the late Mr. Desmond Traynor and the people who took over from him of banking operations, firstly in the bank-within-a-bank at Guinness & Mahon, and from 1989 onwards, in the bank conducted in the premises of CRH and after that, in the banking operations conducted from the premises of Management Investment Services at Winetavern Street. From the Tribunal’s investigations into these matters, it appears that the accounts now known as the Ansbacher accounts were conducted in conditions of ever-deepening secrecy from about 1970 onwards; that the secrecy surrounding the accounts was reflected not only in the increasingly more opaque codes used to describe operations carried out on the accounts, but also in the marked reluctance of Mr. Desmond Traynor to allow scrutiny by any authorities, whether internal — that is in the form of company inspections in Guinness & Mahon — or external, in the form of inquiries made by statutory agencies such as the Central Bank. These sittings have been adjourned to enable the Tribunal to enlarge on information which had come to hand at the outset of the sittings. It will be recalled that in the outline statement made on the 27th January last, I indicated that certain documents had been made available to the Tribunal consisting of an exchange of correspondence between the Central Bank and Guinness & Mahon in 1976 and 1978 in connection with issues which arose in the course of on-site inspections by Central Bank officials. That correspondence was no longer on the records of Guinness & Mahon but with the consent and cooperation of Guinness & Mahon, the Central Bank was released from its statutory obligation of confidentiality concerning the documentation with the result that the letters were made available to the Tribunal by the Central Bank. These letters indicated that the Governor of the Central Bank had expressed concern to Guinness & Mahon concerning its activities in connection with its subsidiaries operating in offshore tax havens. At the time, reference was also made to information made available to the Tribunal by a former official of Guinness & Mahon that where queries were raised by Central Bank inspectors concerning arrangements involving activities of the subsidiaries in offshore tax havens, these queries were referred to Mr. Desmond Traynor who, in furnishing information to the Central Bank inspectors, made it clear that he was relying on their obligations of confidentiality and secrecy so as to ensure that any suspicions or concerns they had concerning the true nature of these arrangements were not brought to the attention of any other state agencies. As a result of further inquiries carried out since that time, it became clear to the Tribunal that it would be necessary to secure a full waiver from Guinness & Mahon to the Central Bank and from any other third parties likely to be involved, so as to enable the Tribunal to form a complete picture of the relationship between the Central Bank and Guinness & Mahon in the years during which Guinness & Mahon was under the effective control of the late Mr. Desmond Traynor. From the information which has now come to hand in response to the widening and deepening of these inquiries, it would now appear that evidence from Central Bank witnesses will be relevant on a number of different fronts. Firstly, it will be relevant in enabling the Tribunal to enlarge on its understanding of the operation of the Ansbacher accounts. Some of this evidence concerns the ends to which Mr. Traynor was prepared to go so as to avoid scrutiny and indeed to divert the attention of scrutineers, ultimately extending even to misleading the statutory investigators, namely the Central Bank. Secondly, the evidence to be given by Central Bank witnesses will also enable the Tribunal further to understand the nature of and the mechanics of the operations being conducted by Mr. Traynor and of the services being made available to his various customers or clients in this country, involving the use of offshore deposits to back loans within this country. This evidence is also of relevance in understanding the extent to which Mr. Traynor, the financial adviser to Mr. Haughey, may have been involved in highly irregular financial practices. “And further in particular in light of its findings and conclusions, to make whatever broad recommendations it considers necessary, or expedient. (n): For enhancing the role and performance of the Central Bank as regulator of the banks and of the financial services sector generally. At this point, it may be of assistance if I set out in general terms the role of the Central Bank in Irish financial affairs and the peculiar and particular position in which Central Bank officials find themselves in discharging this role, having regard to the provisions of the Central Bank Acts, and the regulations governing the activities officials of the Central Bank since the foundation of that institution. The Central Bank was established by the Central Bank Act 1942 and is regulated by that Act as amended by subsequent Acts passed in 1961, 1964, 1971, 1989, 1997, and 1998. The Central Bank was established as the National Monetary Authority responsible for the formulation and implementation of monetary policy, management of the exchequer rate and official external reserves, provision of notes and coins, supervision of banks, building societies and other financial institutions and the financial and capital markets. Historically, it had a number of other roles, including safeguarding the integrity of the currency and regulating credit in the interest of the people as a whole. One of the Central Bank’s more active day-to-day roles since its foundation was as an agent of the Department of Finance, in the administration of exchange control regulations. This was not, strictly speaking, an original statutory role of the Central Bank but rather a role which arose as a result of an explicit delegation by the Minister for Finance of his statutory power of administering the exchange control regulations and those exchange control regulations were abolished at the end of 1992. The Tribunal is concerned mainly with two roles of the Central Bank, the exchange control role I have just mentioned, and the banking supervisory role. It is with this latter role with which these sittings will deal mainly. This latter role is one which has expanded very significantly with the increase in the type of credit institutions subject to supervision in recent years and with the increase also in the number of institutions, in particular, since the inception of the International Financial Services Centre in 1987. Banking supervision has been a major part of the Central Bank function since 1971 and the period under examination in the course of these sittings is from in or about 1976 until in or about 1992 with particular emphasis on the periods from 1976 to 1982. Ultimate responsibility for the supervisory and other roles of the Central Bank rested with the board, which comprises a Governor and nine non-executive directors. The sole shareholder and therefore the owner of the bank is the Minister for Finance. The Governor of the bank is appointed by the President on the advice of the Government for a term of seven years and may be reappointed. Since Ireland’s entry into the EMU, the Governor is ex officio, a member of the governing council of the European Central Bank and as Governor, has statutory responsibility for the performance by the Central Bank of ESCB-related functions, powers and duties. The directors of the Central Bank are appointed by the Minister for Finance for a renewable fixed term of five years. Two of the directors may be in the permanent service of the State. The practice of successive ministers for finance has been to appoint only one such director and he is referred to as a Service Director. The role of the Governor differs from that of the chairman of a limited liability company and from that of most chairmen of incorporated or unincorporated bodies. Whereas in the ordinary way, the position of chairman is invariably a non-executive one, the Governor of the Central Bank is, in fact, the only executive member of the Board of the Bank and, as provided for in the Central Bank Act of 1942, it is the Board’s practice to delegate powers to each Governor for the operation of his appointment, for the exercise and performance of all functions, powers and duties of the Bank, with the exception of those which it would either not be possible to, or appropriate to delegate. The delegation is on the basis of an affirmation by the Governor that in exercising the authority delegated to him, he will follow the established practice of consulting the Board as far as possible on all major decisions and matters of policy and that he will faithfully interpret the Board’s attitude to the best of his ability. The position of the Governor, therefore, is akin to that of the chief executive of a commercial entity coupled with the role of an executive chairman of a Board of directors where exceptionally the Board of directors delegates to him most of their powers. The management and staff of the Bank are appointed by the Governor, who consults the Board regarding the appointment of the Director General and Secretary, who are the two most senior executives next after the Governor himself. The Director General chairs meetings of a Management Board which comprises the Secretary, who is the Deputy Director General, and five Assistant Director Generals. This management coordinates the planning, budgeting, resourcing, and management review processes of the Bank and the director general reports to the Governor on these matters. Day to day management of the Bank, therefore, is in the hands of the management subject to the overall control of the Governor. While this structure describes the current configuration of management at the Central Bank, it appears that in principle, a similar structure has existed since the establishment of that Bank. The Central Bank has informed the Tribunal that the objectives of Bank supervision can be classified into two main areas: Firstly, protecting the stability of the banking and financial system of Ireland as a whole — this is referred to as the macro prudential/systemic issues and secondly, providing a degree of protection to depositors with individual banks and this is referred to as micro prudential issues. While the Bank has, from time to time, set down non-statutory criteria and standards by reference to which its supervisory function is discharged, it will not be necessary to detail these for the purposes of the matters under consideration at these sittings. The supervisory process has been described by the Central Bank as being interactive in nature. It entails a dialogue between the Central Bank and the supervised institution and is based on a principle of cooperation with the Central Bank by the Board of Directors and management of the supervised banks. In other words, the Central Bank regards the Board of Directors of supervised banks as having responsibility for the affairs of their respective banks and expects to be able to place reliance upon the correctness of information furnished to the Central Bank by the boards and management of licensed supervised banks. The supervisory procedures employed by the Bank are described as being both quantitative and qualitative in nature. With regard to these two features of the supervisory process, the Central Bank has stated: “The principle quantitative procedures that are followed with respect to any supervised Bank are in monitoring and review by the Central Bank of compliance by that Bank with the published licensing requirements and standards that relate to matters such as minimum capital and liquidity levels, large exposure to individual borrowers or to an associated group of borrowers, lending to connected parties, for example, directors, and lending to individual economic sectors, concentration of deposits and acquisition of interest by banks and other entities or by other entities in banks. The Central Bank, in other words, looks at the financial state and condition of a Bank for the purpose of making a quantitative assessment and looks at the quality of its management and the quality including, in particular, the integrity and professional standards and standing of its management for the purpose of its qualitative assessment. The supervision of licensed banks involves, from time to time, on-site inspections or examinations by Central Bank officials involving attendance by those officials at the premises of a licensed Bank and the review of papers and files in the Bank, the interviewing of Bank management and staff, and, if necessary, Bank directors and the raising of issues with Bank management and directors. This can result in extensive debate between the Central Bank and a supervised Bank, concerning issues arising in the course of an inspection. On the completion of an inspection, and if necessary, any debate arising out of the results of the inspection, a report is prepared. This report is called an inspection or Examination Report and it is for the attention of senior management of the Central Bank and is not normally made available or brought to the attention of the supervised Bank. In the ordinary way, it would appear that the Report is considered by Senior Management of the Central Bank and is not normally brought to the attention of the Board of Directors or the Governor of the Central Bank. It is not clear to the Tribunal from information made available to the Tribunal by the Central Bank what criteria exist, if any, whereby Senior Management would determine whether consideration of an Inspection Report ought to be referred for the attention of the Governor and/or the Board of the Central Bank. Following consideration of an Inspection Report, the Central Bank would normally communicate with the Chairman of the relevant Bank about matters of significance which the Central Bank wished the supervised Bank to address and where monitoring of any of these matters was required, then there would be an ongoing contact or correspondence between the parties. I now propose to deal with certain matters concerning events which occurred between 1976 and 1992 and, more particularly, between 1976 and 1982 in the context of the relationship between the Central Bank and Guinness & Mahon. Before setting out the information available to the Tribunal concerning those events and bearing in mind that issues may arise concerning the response by the Central Bank to those events, two aspects of the operation of the Central Bank should be mentioned at this point. They are, firstly, the role of the Central Bank in the administration of the exchange control and the impact on Central Bank officials of the oath of office, by which all Central Bank officials were bound until the coming into effect of the 1989 Act, and the impact of the 1989 Act and in particular, section 16 of that Act. The Central Bank had no inherent or indigenous statutory role in the context of exchange control. Exchange control was a matter remitted by statute to the Minister for Finance. The Minister for Finance, however, had the power to delegate his responsibility for exchange control and by a letter to the Central Bank in 1965, the Minister appointed the Central Bank as his agent to administer exchange control and in delegating that power to the Central Bank, in addition, he delegated to it a further power on the Bank’s part in certain circumstances to sub-delegate to other agents, including the commercial banks. In administering exchange control regulations, the Central Bank therefore were acting purely as agent for the Minister for Finance and not acting in the fulfillment of any of its functions under the Central Bank Acts. With the passing of the Central Bank Act 1989, the taking of this oath ceased to be a feature of the holding of any office in the Central Bank, though it is a question as to whether it continued to bind those by whom it had already been taken. 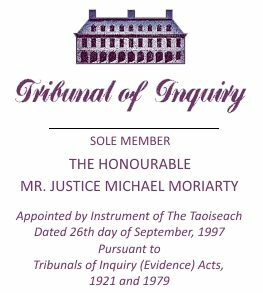 The confidentiality regime applying thereafter was laid down in section 16 of the 1989 Act which provided that no Governor, Director, or Officer or servant of the Central Bank could disclose any information concerning the business of any person or body which came to his knowledge by virtue of his office or employment except in the exceptional circumstances mentioned in the statute. A breach of Section 16 of the 1989 Act is a criminal offence. While under recent legislation, specific duties of disclosure were imposed on officials of the Central Bank, the wider regime of confidentiality established by section 16 continues to operate. It would appear that this confidentiality regime is not unique to this jurisdiction and it is feature of supervisory regimes governing financial regulation in all European Union States and indeed is a feature of most international banking regulatory regimes. The first on-site inspection of Guinness & Mahon by the Central Bank took place in 1976. After the inspection was completed, but before the Central Bank Report was finalised, a meeting was arranged between Guinness & Mahon and the Central Bank on the 20th May 1976. Mr. John Guinness, Mr. Traynor, Mr. Maurice O’Kelly and Mr. Michael Pender attended the meeting on behalf of Guinness & Mahon. The Central Bank was represented by Mr. B. Daly, Mr. Adrian Byrne and Mr. J. Rockett. The purpose of the meeting was to discuss the main findings of the examiners before finalising the Report. It appears from the Central Bank minute of the meeting that the matters discussed included Guinness & Mahon’s offshore activities. Mr. Daly, from the Central Bank, expressed the concern of the Central Bank about the significant offshore activities engaged in by Guinness & Mahon through its subsidiaries which, it would appear, had, as their main objective, the provision of assistance to tax avoidance. This was denied by Mr. Traynor who indicated that the subsidiaries were all deposit-taking institutions who offered full banking services and that their main income was derived from executor and trustee business. The Central Bank Report contains further comment in relation to Guinness & Mahon’s offshore subsidiaries at page 15 of the Report. This part of the Report sets out a detailed history of the establishment of Guinness Mahon Cayman Trust in June of 1972, and the manner in which funds placed with Guinness Mahon Cayman Trust were used to secure or back loans advanced by Guinness & Mahon to Irish customers. In this connection, the Report recorded the initial reluctance of the directors of Guinness & Mahon to provide the Central Bank with information about the activities of the offshore subsidiaries. This was because of fears that the information might be conveyed to the Revenue Commissioners. It appears, however, that the Central Bank were given sight of copy security documents regarding the back-to-back arrangements but were requested not to note the names in which the deposits were held to which the Central Bank inspectors agreed. The Report also noted Mr. Traynor’s assurance that no funds from Ireland had been transferred to the Cayman Islands since the 22nd June 1972, but that deposits held by Guinness Mahon Cayman Trust with Guinness & Mahon had increased by £4.7 million to £14.3 million during the preceding 12 months, which the Central Bank inspectors were assured that the increase resulted from deposits which were sourced in the United States of America and Jamaica. There then followed an exchange of correspondence between Mr. Charles Murray, the then Governor of the Central Bank, and Mr. John Guinness, the Chairman of Guinness & Mahon. Mr. Murray, by letter dated 9th September 1976, outlined the points of concern to the Central Bank which had emerged in the course of the inspection. These included the operation of Guinness & Mahon’s offshore subsidiaries. Mr. Guinness responded to the substance of the points raised in the letter of the 26th November 1976, in which he stated that he was not happy with the Central Bank’s understanding of Guinness & Mahon’s situation and requested an opportunity of discussing the matter with Central Bank personnel. It appears that a meeting was arranged for the 8th February 1977, which was attended by Mr. Traynor and Mr. O’ Kelly on behalf of Guinness & Mahon, and Mr. T. O’Grady-Walsh, the deputy general manager of the Central Bank and Mr. B. Daly on behalf of the Central Bank. From the Central Bank minute of the meeting, it appears that five topics were discussed which included the issue of tax havens. It appears that Mr. Traynor outlined in some detail the operation of the offshore subsidiaries and stressed that they were basically trust companies but that a proportion of the assets which they managed were deposited directly with Guinness & Mahon. Each of the subsidiaries had banking status and Mr. Traynor emphasised that funds were not placed on deposit with them for the purpose of tax avoidance or tax evasion. It appears that Mr. O’Grady-Walsh and Mr. Daly were not entirely satisfied with Mr. Traynor’s explanation, as they agreed that they would raise the matter again with Guinness & Mahon at a later date. The next on-site inspection of Guinness & Mahon took place in 1978. Prior to that inspection, the issue of Guinness & Mahon’s backed loans arose in a different context. It appears that under Central Bank regulations, a licensed Bank is required to maintain a free resources ratio of approximately 10 percent. The free resources ratio relates to the requirement of 1975 published standards of the Central Bank that a licensed Bank should maintain a level of capital employed which the Central Bank considers appropriate in relation to its business ownership and standing. The Central Bank, under the 1975 standards, regarded a free resources ratio of 10 percent as the norm, though it indicated that it would exercise discretion in determining the specific levels appropriate to the circumstances of banks in different categories. This free resources ratio required that for every £100 worth of loans made by a licensed Bank, it should have not less than £10 worth of capital. In the ordinary way, a loan backed by a cash deposit would be regarded as a non-risk asset for the calculation of the free resources ratio, i.e., in other words, the existence of these loans should not have warranted any increase in the capital of the Bank at the rate of £10 of capital for every £100 lent. At a meeting on the 25th January 1978, which was again attended by Mr. Traynor and Mr. O’ Kelly on behalf of Guinness & Mahon, Mr. Traynor referred to the backed loans which he valued at £4 million and which were secured by deposits placed with Guinness Mahon Cayman Trust and he wondered if the Central Bank would consider these loans as non-risk for the purpose of calculating the free resources ratio. It appears that the matter was considered by the Central Bank which decided that the backed loans should continue to be regarded as risk assets. This was communicated to Mr. Traynor by telephone on the 23rd March, when he was also advised that Mr. O’Grady-Walsh might wish to discuss the tax aspect of the loans at a later date. 1: From the information available, it would appear that the loans were secured by a cash deposit and, as such, form a normal back-to-back arrangement. However, the fact that the Bank takes such extreme precautions to keep the existence of the deposits secret from the Revenue Commissioners indicates that the Bank might well be a party to a tax avoidance scheme. Should this be the case, and the Bank accepts the right of set-off for the purpose of calculating the free resources ratio, the Bank would be placed in a very embarrassing position should the Revenue authorities ever become aware of the situation. It is therefore recommended that the Bank does not accept a right of set-off for the purpose of calculating the free resources ratio. Now, when I use the term Bank there, I am referring to the Central Bank and it is that the Central Bank would be placed in an embarrassing position should the matter ever come to the notice of the Revenue authorities and the recommendations that it should not be taken into account in calculating the free resources ratio. When this document comes to be looked at in the course of the evidence from Central Bank witnesses, it will appear clear that the reference to a tax avoidance scheme had first been typed in the Report as reference to a tax evasion scheme and that this was crossed out and the word “avoidance” was written in on the document. The taxation avoidance scheme also featured as the first matter in the conclusions and recommendations of the Report which concluded that Guinness & Mahon had advanced loans amounting to £5.5 million to customers which were secured by deposits placed with Guinness Mahon Cayman Trust or Guinness Mahon Guernsey Limited. The recommendations repeat the assertion that the deposits formed part of tax avoidance schemes. The full extent of Guinness & Mahon’s involvement in the schemes was difficult to determine. The inspectors were of the view that while the provision of advice on tax avoidance within the law might be an acceptable part of the work of any Bank, it was not, in their view, appropriate or ethical for a Bank to participate in, as distinct from giving advice on tax avoidance schemes. The inspectors suggested that Guinness & Mahon should cease its participation in these schemes. Appendix 10 to the 1978 Report listed the major loans backed by deposits held in Cayman/Guernsey trust companies. These amounted in total to £5,002,000 and were backed by deposits amounting to £3,799,208. The smallest loan listed was £9,269, and the largest loan listed was £1,179,486. Following the Examination Report, a meeting was arranged on the 7th March 1979 purely for the purpose of discussing Guinness & Mahon’s offshore activities and the Central Bank’s concerns about them. Mr. Traynor and Mr. O’ Kelly attended for Guinness & Mahon and Mr. B. Daly and Mr. Adrian Byrne attended for the Central Bank. It appears from the Central Bank minutes that Mr. Daly acknowledged that a significant portion of international business was conducted through offshore subsidiaries and that this did not concern the Central Bank. The Central Bank’s sole concern related to the fact that Guinness & Mahon had advanced loans in excess of £5 million to Irish customers which were secured partly or wholly by deposits placed with offshore subsidiaries through discretionary trusts. Having regard to the complex manner in which the loans were secured and the secrecy surrounding the existence of the security, the Central Bank could see no logical reason for the arrangements other than to assist customers to avoid tax and reiterated its view that it was not appropriate for Guinness & Mahon to be engaged in such a significant way in tax avoidance schemes. Mr. Traynor asserted that discretionary trusts of the kind used in the back-to-back schemes were used for a large number of legitimate reasons; that they were used extensively by multinational companies as a means of transferring assets from one country to another; and that they had also been used extensively in this country in the past as a legitimate method of reducing an estate duty liability. Mr. Traynor also stated that due to the introduction of exchange control as between the sterling area and the Cayman Islands, no new loans had been granted since 1972 where deposits held in the Cayman Islands formed part of the security, and that the introduction of new exchange control regulations would effectively end the provision of loans backed by deposits held in the Channel Islands. It appears that the Central Bank accepted an assurance given by Mr. Traynor that the level of loans was likely to be reduced in the future. In these circumstances, the minutes of the meeting noted that the Central Bank did not wish to pursue the matter further in light of Mr. Traynor’s assurances. The next meeting at which the topic appears to have arisen was on the 9th August 1979. The meeting was attended by Mr. Traynor and Mr. Maurice O’Kelly and by Mr. D. McCleane, Financial Director of Guinness & Mahon. Mr. B. Daly and Mr. N. Kennedy attended for the Central Bank. The matters under discussion at the meeting primarily related to Guinness & Mahon’s loan portfolio. Reference was again made to Guinness Mahon Cayman Trust, the placing of assets in trusts operated by Guinness Mahon Cayman Trust, and the provision of those trusts to back loans advanced by Guinness & Mahon in Dublin. It appears from the Central Bank minutes that Mr. Traynor stated that there had been little increase in the activity of Guinness Mahon Cayman Trust in the previous few years, and he did not think that it would grow any further. The appendices to the minutes of this meeting included a list of Guinness & Mahon’s 20 largest loans as of the 30th April 1979. This included five of the loans which had been listed in Appendix 10 to the 1978 Report which, it will be recalled, comprised the major loans backed by deposits held in Cayman and Jersey Trust Companies. It also included, at number 12, a loan for £437,265 which was described in Appendix 3 as being a loan backed by a deposit. The loan at number 13 for £423,350 was not disclosed in the appendices as being a backed loan but from information provided to the Tribunal, it would appear that this loan was secured in that fashion. Notwithstanding that, it should have been apparent to the Central Bank that Guinness & Mahon was not providing complete information regarding the level of backed loans. It appears that the matter was not pursued. A formal review meeting was held by the Central Bank with Guinness & Mahon on the 21st February 1980. The matter of loans secured by offshore deposits was not adverted to during the course of the meeting and no query appears to have been raised with Mr. Traynor regarding the assurance given by him at the meeting on the 7th March 1979, that the level of these loans would not increase and would be likely to reduce. This loan for over £3 million had not been disclosed in Appendix 10 to the 1978 report. The loans listed at 3 and 4 of the appendix which stood at £795,000 and £1,601,000 as of the 31st August 1980 were included in the list in Appendix 10 and in the two-year period, the first of these loans had increased by £200,000 and the second of the loans had increased by £422,000. While the disparity in the level of loans as between 1978 and 1980 should have been apparent to the Central Bank, it appears that despite the inspectors’ concerns, that is the earlier concerns in the Report of 1978, no query was raised with Mr. Traynor regarding his assurance to reduce those loans. A further review meeting took place on the 29th April 1981. The principal matter under discussion at that meeting appears to have been the level of Guinness & Mahon’s lending. The two most substantial loans which appear to have been discussed in the course of the meeting were a loan for £6,939,000 and a loan for £3,745,000. The first of the loans had been disclosed in Appendix 10 of the 1978 Report at which the time the loan was quantified at £1,179,000. It appears that the Central Bank was informed that as regards this loan, the company had US $9 million on deposit in Guinness Mahon Cayman Trust but that there was no formal guarantee. The second most sizable loan, which then stood at £3,745,000 was the loan which had been disclosed in Appendix 2A to the earlier review at which time the loan had stood at £1,932,000. Yet again, it would appear that the increased level of these loans was not drawn to the attention of Mr. Traynor, despite his assurances that the level of the loans would not increase. The third on-site inspection of Guinness & Mahon by the Central Bank took place in 1982 and an Inspector’s Report was prepared as of the 31st August 1982. In common with the early Reports, this Report was an internal confidential document and was not released to Guinness & Mahon. The Report commenced with a summary of the results of the previous inspections in 1976 and 1978. Despite the fact that the offshore activities of Guinness & Mahon had featured as the headline finding of the 1978 inspection, there was no reference whatsoever to these matters in the summary contained in the 1982 Report. It appears that in its dealings with the Central Bank in 1982, Guinness & Mahon had distinguished between back-to-back loans and offset loans. The former were estimated as amounting to approximately £2 million. The latter were distinguished as loans granted by Guinness & Mahon on the security of deposits held in the Cayman Islands, mainly to US residents. In the body of the Report, the major back-to-back loans were listed as comprising three loans, all of which had been disclosed in Appendix 10 to the 1978 Report. However, the loans which featured in the 1981 review meeting were not included in the Report. A meeting was held on the 12th January 1983 to discuss the outcome of the 1982 inspection. In the course of the meeting, it appears that Mr. Adrian Byrne, from the Central Bank, referred to the commitment given by Mr. Traynor at the meeting in 1979 to reduce its involvement in back-to-back lending. It appears that Mr. Traynor stated that there had been no increase in the level of that type of lending and that he would provide a list of loans under this heading to the Central Bank. Guinness & Mahon have not as yet been able to identify any list which might have been provided to the Central Bank by Mr. Traynor, nor has the Central Bank as yet produced any such list. While what I have set out above is an outline of the information which has been made available to the Tribunal from documentation furnished by the Central Bank, there are some further aspects of the relationship between Guinness & Mahon and the Central Bank to which I should now refer. Time and again, mention has been made in the course of the Tribunal’s sittings of the expression “suitably secured” to indicate, in a coded way, the existence within Guinness & Mahon of an offshore backing deposit securing onshore borrowing, usually by Irish residents. It will be recalled that the Central Bank was assured by Mr. Traynor that the use of offshore deposits in this way would be wound down as a result of concerns expressed by the Central Bank in 1976 and 1978 and while it appears that there was no winding down of the deposits for the purpose of backing loans, the use of the expression “suitably secured” was discontinued from in or about November of 1978. However, while the expression does not seem to have been used in 1979, 1980 or 1981, it appears that from in or about 1982, a similar coded expression was used to indicate once again the existence of such an offshore backing deposit. From in or about 1982 onwards, it would appear that the expression “security considered adequate” or similar expressions may have been used for the purpose of indicating back-to-back arrangements. It is possible therefore that inspectors seeking to identify the potential continued reliance on offshore deposits as security for onshore loans might have been deflected or diverted by the discontinuation of the coded expression “suitably secured” and its subsequent replacement with a different term. Officials of Guinness & Mahon, having conducted further examination of documents in the possession of that Bank, have furnished the Tribunal with material which seems to indicate that after 1978, other measures may have been taken by Mr. Traynor to withhold from the Central Bank information which would have pointed to the existence of backed loans. Guinness & Mahon’s records include an internal memorandum dated 23rd August 1982 from Ms. Deirdre Devane, an official of Guinness & Mahon, to Mr. Pat O’Dwyer, who was then loans officer, asking him to provide information which had been requested by the Central Bank including details of the top 20 loans. A request for a supervised Bank’s top 20 loans was a common feature of the supervisory process conducted by the Central Bank. In response, by memorandum of the 26th August 1982 from Mr. Pat O’Dwyer to Ms. Deirdre Devane, Mr. O’Dwyer enclosed a schedule outlining the top 20 loans and further indicated in his memorandum that, as agreed, he had “Intentionally omitted back-to-back situations”. Mr. O’Dwyer has informed the Tribunal that he assumes that the agreement mentioned was one made in the course of his work at Guinness & Mahon and can only have been made following a conversation which he possibly had with the late Mr. Traynor. From the material made available by the Central Bank, it would appear that these additional facts were not known to, nor did they come to the attention of the Central Bank officials conducting an on-site investigation and indeed, it is obvious that it was never intended that this information should come to their attention. From the foregoing review of the information made available to the Tribunal by the Central Bank, that is of course excluding the information which appears to have been deliberately kept from the Central Bank, it seems clear that officials of the Central Bank carrying out an inspection in Guinness & Mahon had misgivings concerning the activities being conducted by Guinness & Mahon in connection with back-to-back loans secured by offshore or so-called offshore deposits. The context in which these misgivings arose should be viewed from two standpoints: Firstly, from the standpoint of the quantitative assessment mentioned above, and secondly, from the standpoint of the qualitative assessment. From the point of view of the quantitative assessment, it will be recalled that at the meeting of the 25th January 1978, Mr. Traynor wondered whether the Central Bank would consider the £4 million worth of the loans made to Guinness & Mahon and secured by deposits placed with the Bank’s Cayman Island subsidiary, could be considered as non-risk for the purpose of calculating the free resources ratio. In reply to Mr. Traynor’s request in January of 1978, as I have already indicated, the Central Bank responded that they would continue to regard the Cayman-backed loans as risk assets. In other words, the Central Bank did not treat these loans as properly or regularly secured by cash deposits. The Central Bank therefore was not persuaded to treat them as non-risk assets. This did not, however, exhaust the misgivings of investigating officials and/or of those members of Bank management by whom reports were prepared or received. There was still a degree of concern that the arrangements put in place whereby Guinness & Mahon loans were secured by offshore cash deposits were surrounded by an unhealthy cloak of secrecy. This pertains, of course, not to the quantitative but to the qualitative assessment underpinning the supervisory process. The question which arises at this stage is whether, having regard to the response by Guinness & Mahon to the various queries raised by the Central Bank concerning the offshore activities, this should have prompted the Central Bank to form a negative view of Mr. Traynor and his continued involvement as a senior executive and ultimately as the chief executive of Guinness & Mahon. While, from the information available, it would appear that the Central Bank did not learn of the operation by Mr. Traynor of a bank-within-a-bank and, therefore, of his being involved in an activity which was flagrantly in breach of the Bank licensing regulations, the Central Bank officials were nevertheless armed with information which raises the question as to whether they should have acted more vigourously against the Bank and indeed, whether in acting, they might have been alerted to the true extent of Mr. Traynor’s activities. In this connection, I want to refer again to the review or outline of the various dealings between the Central Bank officials and the representatives of Guinness & Mahon over the years between 1976 and 1982, with specific reference to those isolated dealings connected with the offshore activities under the control of Mr. Traynor. In its Examination Report of 1976, commenced on the 5th April 1976, the Bank stated at page 6, paragraph 5, that they were satisfied from their conversations with Mr. J. D. Traynor that a major part of the activities of Guinness & Mahon’s offshore subsidiary activities involved the receipt of funds on which tax had been avoided. Secondly, the Report stated it would appear that sometime shortly before the completion of the Report on the 26th May 1976, at a meeting held on the 20th May 1976, Mr. Traynor denied that these activities involved tax avoidance. At page 15 of the Report, the Central Bank noted the reluctance of the directors to give information in relation to the activities of the offshore subsidiaries, because of fears that the information might be conveyed to the Revenue authorities. In a letter of the 9th September 1976 from Mr. Murray, the Governor, to Mr. J. H. Guinness, the Chairman of Guinness & Mahon, the Central Bank stated that it was concerned at the extent of Guinness & Mahon’s involvement through its subsidiaries operating in offshore tax havens. A meeting was held to discuss this matter and at that meeting, Mr. Traynor stated that the funds in question were not placed on deposit for the purpose of tax avoidance or evasion. In an internal memorandum on the 10th February 1978, the Central Bank noted once again that no evidence of the arrangements made between the Cayman or Guernsey offshore subsidiaries and the Dublin Bank were maintained at the Dublin office as a precaution against physical inspection by the Revenue. That, of course, was information which was given to the Central Bank by Mr. Traynor of Guinness & Mahon and from the evidence which has been heard from Mr. Collery and other officials of Guinness & Mahon, it would appear that this information was erroneous information furnished to the Central Bank, although the Central Bank was not to know that at the time. In a further memorandum, again in February of that year, the Central Bank took the view that the precautions taken to keep the existence of these deposits secret from the Revenue Commissioners indicated that Guinness & Mahon might well be a party to tax avoidance schemes. One reading of the Central Bank note suggests that the Central Bank were concerned that there might be evidence of a tax evasion scheme. The main findings of the Bank’s 1978 Report were that Guinness & Mahon was involved in a scheme described as a tax avoidance scheme, but in terms which make it clear that the arrangement involved the Dublin borrower being able to claim taxation relief on interest paid on the borrowing from the Dublin Bank, while presumably he did not pay tax on the interest which he earned on the deposit with the offshore Bank. It will be observed from the foregoing that notwithstanding Mr. Traynor’s assertion that Guinness & Mahon was involved in neither tax avoidance nor tax evasion, he nevertheless went to great pains, as the Central Bank detected, to avoid scrutiny by the appropriate agencies, including the Revenue Commissioners, and that notwithstanding the various assertions by Mr. Traynor, the Central Bank’s view which appears in the 1978 Report was that Mr. Traynor was involved in a scheme which clearly savoured of tax avoidance and, on one reading of the Report, possibly of tax evasion. It should be recalled that at the meeting held on the 7th March 1979, in response to the Central Bank’s concern regarding back-to-back borrowings involving offshore subsidiaries, Mr. Traynor asserted that discretionary trusts, which were a central part of the arrangements, were features of ordinary international commerce and that they were used extensively by multinational companies as a means of transferring assets from one country to another. This is an explanation which would not have impressed any lawyer and at this point, the question is whether, having regard to the fact that they were not prepared to give Mr. Traynor credit for his earlier denials of involvement in tax avoidance, the Central Bank should have given any further credit to his explanation and whether they should not, in fact, have sought the services of an appropriate qualified expert to evaluate the explanations upon which Mr. Traynor relied. Allied to this is the fact that Mr. Traynor, notwithstanding his protestations of non-involvement in tax evasion or tax avoidance, nevertheless sought to mollify the inspectors by assuring them that the back-to-back arrangements would be wound down. The question which arises is whether it is correct to characterise the relationship between the Central Bank and Guinness & Mahon as one in which the Central Bank did not accept the various conflicting and inconsistent explanations proffered by Mr. Traynor concerning these offshore activities, as one in which the Central Bank did not credit his explanations and, therefore, as one in which the Central Bank should have, on a qualitative assessment, formed a negative view of Mr. Traynor’s entitlement to be involved with Guinness & Mahon as a supervised bank. The next issue which arises in the context of the on-site inspections carried out by the Central Bank concerns the fact that in the 1982 Report, as I have already indicated, there is a reference to loans backed by Cayman deposits and one of these loans was identified as being to a Mr. K. P. O’Reilly-Hyland. At that time, Mr. O’Reilly-Hyland was a director of the Central Bank. From the information made available to the Tribunal, it would not appear that the concerns expressed by the Inspectors regarding the offshore activities of Guinness & Mahon were brought to the attention of the Board of the Central Bank. From the fact that Mr. Murray wrote a letter alluding to the matter to Mr. Guinness, it seems clear that the concerns must have been brought to his attention as Governor, but it does not appear to have formed any part of the record of the Central Bank Board’s deliberations. A question which arises is whether the involvement of a director of the Central Bank in the back-to-back loan arrangements, which had been the cause of misgiving on the part of Central Bank officials, ought to have been brought to the attention of the Governor and/or the Board of the Central Bank. The issue in this connection is not merely whether the whole question of the back-to-back arrangements and the potential for tax evasion was brought to the attention of the Board of the Central Bank, but whether the specific involvement of a director of that Board ought to have been brought to the attention of the Board. Bearing in mind that apart from the reliance placed by the Central Bank on assurances given by Mr. Traynor that the back-to-back arrangements would be wound down, the Central Bank had taken an overall favourable view of the general banking operations of Guinness & Mahon. In other words, Guinness & Mahon was given a certificate of good health. It is a question as to whether the Board of the Central Bank were aware and if not, whether they should have been made aware of Mr. O’Reilly-Hyland’s involvement so as to ensure that the duties of the Board of the Central Bank were discharged properly, bearing in mind that the Central Bank were effectively certifying the continued good standing of Guinness & Mahon. This certification was being effectively given notwithstanding a concern expressed by the inspectors or examiners about an irregular activity in which one of the Directors of the Board of the Central Bank was involved. The Tribunal has not yet obtained a statement from Mr. K. O’Reilly-Hyland, but has been informed by his solicitor that Mr. O’ Reilly-Hyland will give evidence that prior to his appointment to the Board of the Central Bank in 1973, he informed the then Minister, Mr. George Colley, that he had an offshore trust. Of course, apart altogether from the information which appears to have been made available to the Central Bank in the course of their various inspections, it now seems that the Bank were expressly misled in a number of material respects, in that; notwithstanding assurances given by Mr. Traynor, the provision of loans backed by Cayman deposits was not wound down; the involvement of Guinness & Mahon in the provision of tax schemes, whether savouring of tax evasion or tax avoidance, did not cease in line with the assurances given by Mr. Traynor. It would appear that in fact as the evidence of Mr. Denis Foley TD shows, Mr. Traynor was still making services available to Irish residents involving the use of offshore tax havens connected with Guinness & Mahon in 1979 and in the following years. As the document entitled “A Note to John Furze” shows, it would appear that the schemes expressly directed themselves to tax evasion and that this was being touted in Dublin by Mr. Furze and/or Mr. Traynor. From evidence given to the Tribunal by Mr. Sam Field-Corbett, Mr. Denis Foley TD, Mr. Padraig Collery, the evidence of Mr. Raymond McLoughlin concerning the note to Mr. John Furze, evidence given concerning correspondence from Mr. John Collins to his co-director of Cayman, Mr. Traynor in Dublin, it would appear that the secrecy surrounding the activities of Mr. Desmond Traynor was calculated to enable certain customers of his to evade tax. It is the arrangements whereby these services were made available that have been characterised both in this Tribunal and elsewhere as being in the nature of a bank-within-a-bank. What has been called the bureau system was the mechanism whereby this bank-within-a-bank was administered, whether in Guinness & Mahon’s premises in Lower Pembroke Street or in Fitzwilliam Square or Winetavern Street. The Central Bank has stated that it had no knowledge of the existence of this bureau system. The Central Bank has stated that it is anxious that no misunderstanding should arise from the fact that while aspects of the Ansbacher operation, as already outlined by me, had attracted the attention of the Central Bank, it had no knowledge of the existence of the bureau system or memorandum accounts of deposit in the Cayman Islands on the bureau system. This only came to their attention during the course of the McCracken Tribunal. It would appear difficult to imagine that where the Central Bank was relying on information made available by officials and directors of a Bank, they could have ascertained the existence of the bureau system. At the same time, it is a question whether the Central Bank should have continued to place reliance on the responses of the directors and of officials of Guinness & Mahon to queries concerning the Ansbacher accounts in light of what would appear to have been their failure to accept the Guinness & Mahon account of these transactions and, in particular, the Guinness & Mahon’s protestations that neither tax avoidance nor tax evasion was involved. The question that will be pursued in the course of these sittings is whether the inspectors ought to have taken their investigations of the Ansbacher accounts further, whether, in other words, it is only with the benefit of hindsight that it can be said that a more intensive investigation would have come upon the bureau system or whether, on the facts as they were then available to the Central Bank, they would have come upon it in any case. I have already alluded to the fact that the officials of the Central Bank were, prior to 1989, bound to take an oath of secrecy and since that date, they are bound by obligations of confidentiality as regards information obtained in the course of their duties. What should be borne in mind is that where an official of the Central Bank obtained information in the course of his duties concerning tax evasion, suspected tax evasion, or for that matter, tax avoidance, he was not precluded by his oath from acting within the ambit of his duties on that information. What his oath precluded him from doing was from relaying that information to, for example, the Revenue Commissioners, or to any other agency outside the Central Bank. His oath would not, however, have precluded an official of the Central Bank from taking a view of a supervised Bank, or of a director or officer of a supervised Bank, based on the information he had obtained and on an impression he had formed concerning the activities of the kind which appears to have been carried on in Guinness & Mahon. In other words, where the Central Bank formed a view that the directors of a supervised Bank were engaged in activities which were contrary to the national interest or which savoured of impropriety, irregularity or illegality, it would have been open to the Central Bank to request the supervised Bank to remove the relevant director or official from his position or to take action to ensure that he was no longer involved in the activities in question. Likewise, where the Central Bank formed the view that the high standards of integrity, probity and competence to be expected of bankers were not being maintained, it would be open to the Central Bank similarly to insist on the removal of an official or a director. This would have been particularly so where the Central Bank had been given differing accounts over a period of time in respect of a particular activity of the Bank and also where it had been given an account which they found unacceptable or unreliable. All of these steps could have been taken by the Central Bank without breach of any oath taken by any official or breach of any statutory duties of confidentiality imposed and could have been done without the involvement of any outside agency or could have been done without relaying information to any outside agency concerning the activities in question and is something which the Central Bank had attempted to do on an occasion prior to their dealings with Mr. Traynor following the 1976 inspection on site. While the existence of the bureau system, as it has been called within Guinness & Mahon, was detected in the course of an internal audit in Guinness & Mahon in 1989, it appears that this internal audit, for whatever the reason, was not made available to the Central Bank. It is of course the case that since 1989, the Ansbacher relationship with Guinness & Mahon was being wound down and that by 1982, in real terms, it no longer existed. While much of the information upon which this opening statement is based has only come to the attention of the Tribunal in the last few weeks, it is important to state that in carrying out its investigation, the Tribunal has been fully facilitated by the Central Bank in any inquiries it has raised with the Central Bank and has been provided with the assistance of the Central Bank in raising queries with former officials and also with current and former officials of Guinness & Mahon, that is, the Bank under supervision in the various Reports.